A rare plant of sand dunes confined to Co. Down within Northern Ireland. 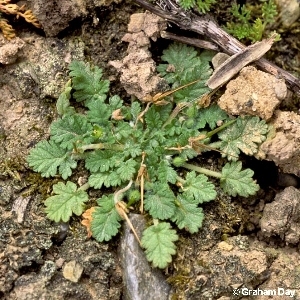 The common name is somewhat misleading because the commonest seaside species are the common stork's-bill (Erodium cicutarium) and the sticky stork's-bill (E. lebellii). Unlike either of these, this species has undivided leaves. 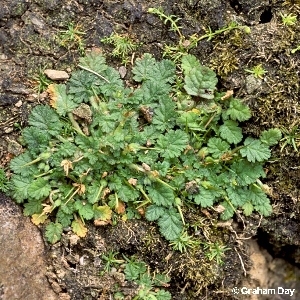 All names: Erodium maritimum (L.) L'Her.